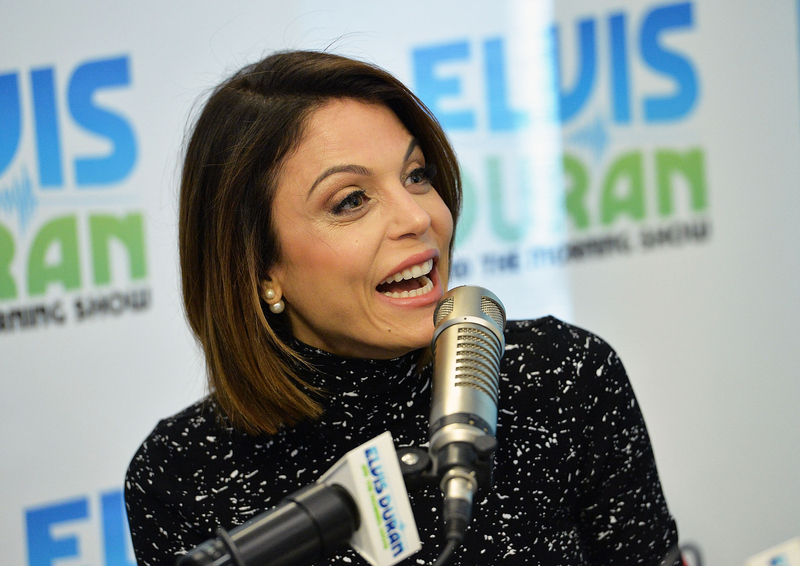 If you spend your days wishing you had more Bethenny Frankel in your life, then you’re in luck — because not only will you be able to hang with the Real Housewives of New York star every Wednesday night on Bravo, you’ll also be able to hear her once a week on her very own radio talk show. On Wednesday, it was revealed exclusively by E! that Frankel is getting her own radio show — and I honestly can’t think of anyone better for the job. About the show, Frankel told E! : "I think I've figured out a way to create an arrangement to do maybe one radio show a week, just to have an outlet, just to be able to vent and rant and express myself, and it seems that it just came through." With her stage presence and more opinions than Ramona Singer, Frankel will likely do a bang-up job of hosting her own radio show. But she definitely isn’t the first housewife to branch into radio. In fact, it’s kind of a booming business for current and former Real Housewives. There have been a number of cast members who have starred in their very own radio show in addition to starring on The Real Housewives. And it makes sense to me. For a group of women who can talk faster and louder than anyone else in the room, moving into radio — where their job is literally just to talk for a certain amount of time — it’s no wonder that these current and former Real Housewives are total pros when it comes to radio. Heather Dubrow’s World is a weekly podcast that the Orange County star hosts. In it, she talks about her own life, her kids, her beauty tips, and even answers listeners’ questions. As a regular host of The Rickey Smiley Morning Show, Williams puts her shade and her amazing sense of humor to good use. Brandi Glanville Unfiltered is the best way to get to know Glanville, if you ask me. (Although, I’m not even sure an filtered version exists.) Either way, this podcast has a huge fan base and is a great way to still get a little Glanville in your life. Remember Radio Slade? This talk show was dropped in 2014, but for a while it was a huge source of drama between The Real Housewives of Orange County. Jordan joined The Real Housewives of Atlanta as a radio personality on the Rickey Smiley Morning Show, but that gig didn’t last forever. The fact that she was working in the same building with Porsha Williams, though, was enough to cause a ton of drama. It wasn’t her own show, but she did stand in for a host when they couldn’t make it in for an episode of The Rickey Smiley Show. So, to any of the other Real Housewives stars considering leaving reality television: Podcasts and radio shows are a good next move.